What a difference a few weeks make. 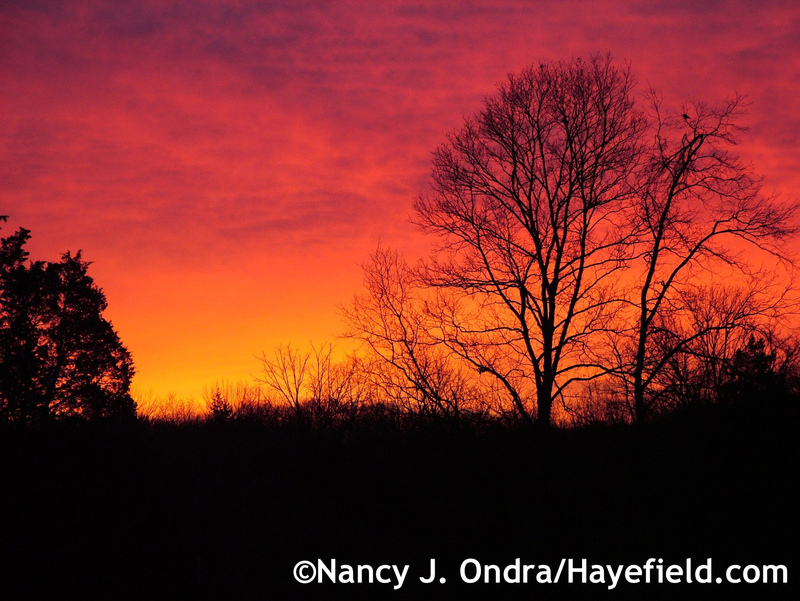 Not long ago, we were experiencing the still and quiet of winter, along with the glorious sunrises that seem to happen mostly in the colder months. The first stirrings of spring, in the third week of March this year, came as distinctive sounds: the pre-dawn and pre-dark buzzing and twitterings of the woodcocks in the meadows and hedgerows, and the chirping of the spring peepers and other frogs in the vernal pools and wetlands that are common in our neighborhood. 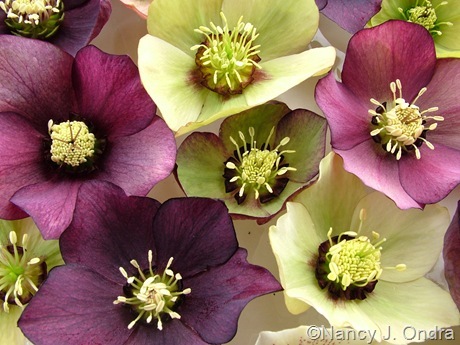 I think the only color in hybrid hellebores that’s rather boring is green. 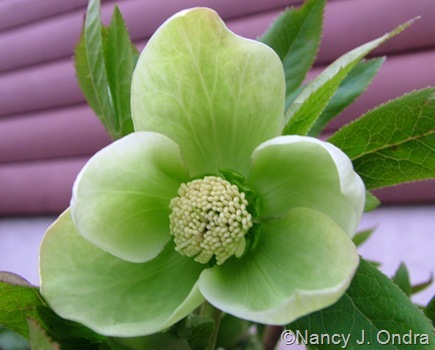 I can find charm in other sorts of green flowers, and a bright Granny-Smith-apple green isn’t bad, I guess. 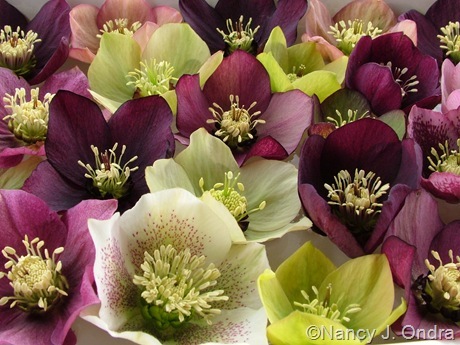 But propagating hybrid hellebores with green sepals (the parts that look like petals) mostly seems pointless to me, since you can already find splendid rich greens in straight H. odorus, H. dumetorum, H. foetidus, and other hellebore species. I particularly dislike many of the greens that are optimistically described as yellow in catalog copy. I’m sorry: They’re not yellow, they’re not even chartreuse – they’re green.